Happy Monday to you all! TIME TO GO SHOPPING! 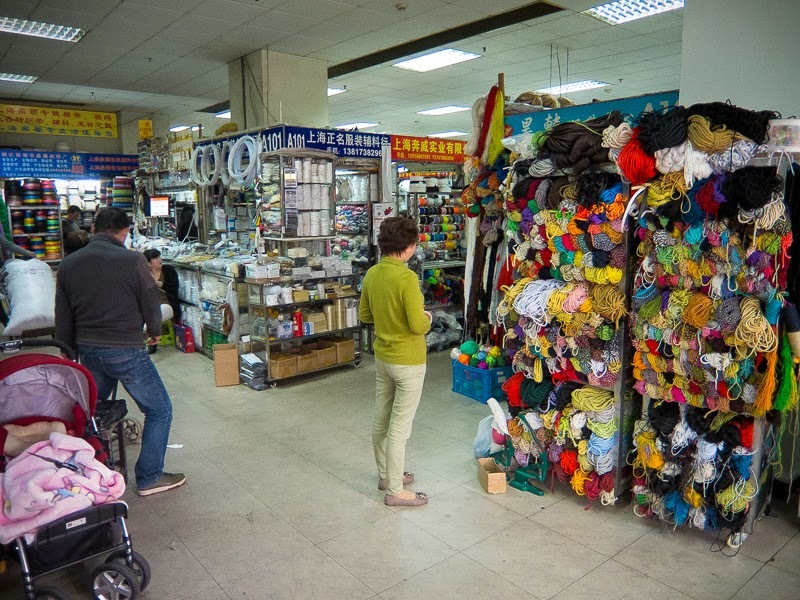 Today I thought I'd start my tour/blog post series of the Shanghai Markets... mostly the good ones if you're a sewing enthusiast/reader of my blog... I'll tailor it just for you! There are markets for everything here, and streets full of stuff... 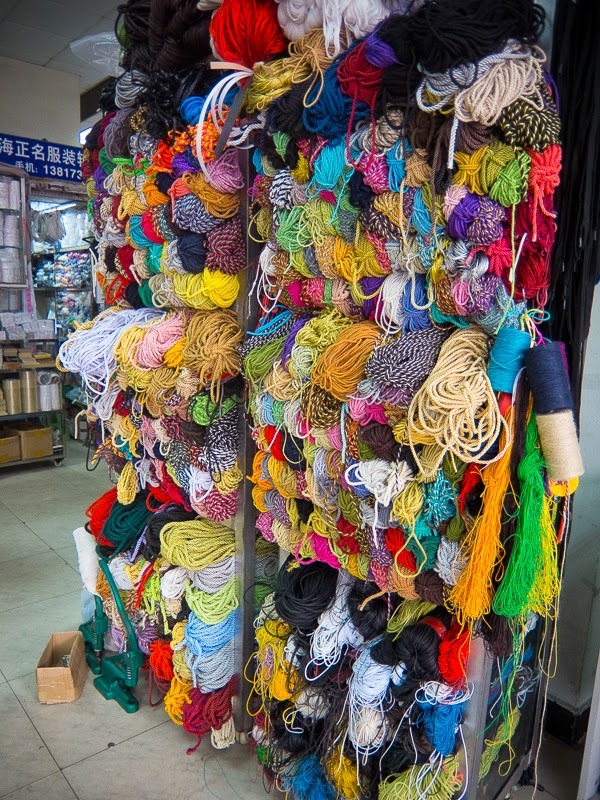 So if you ever are in Shanghai, you can find fabric, haberdashery odds and ends and I hope to bring you what I find as I go snooping around town trying to find my stuff! 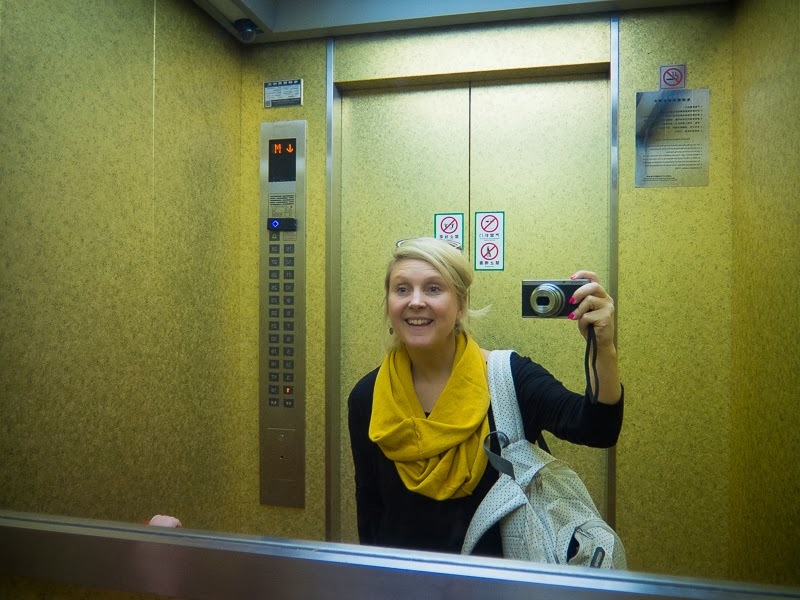 LOOK AT MY GLEEFUL FACE above. This was back in November last year, very happy to talk my 2 year old to kindergarten because I was going FABRIC MARKET ADVENTURING. 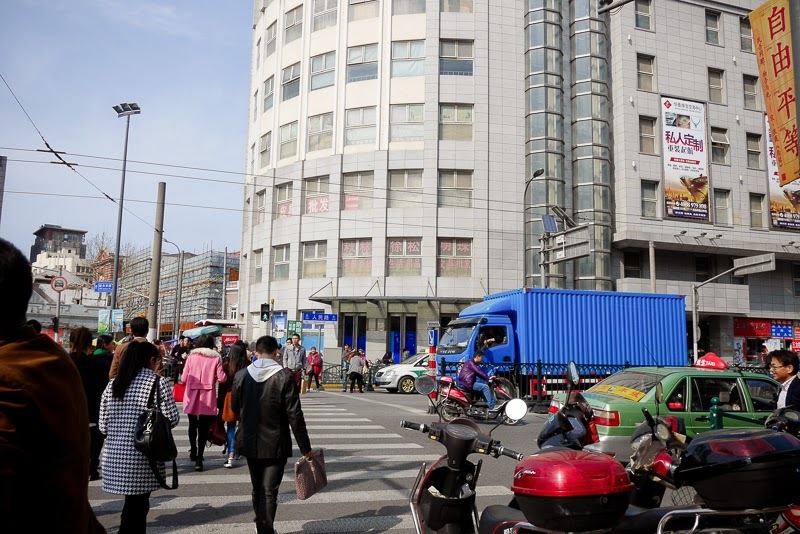 I dropped him off, and I jumped on the metro to a couple of markets people had recommended on the Shanghai Mamas website, a great resource for sharing the WTF (that's "where to find", mind you!) stuff! 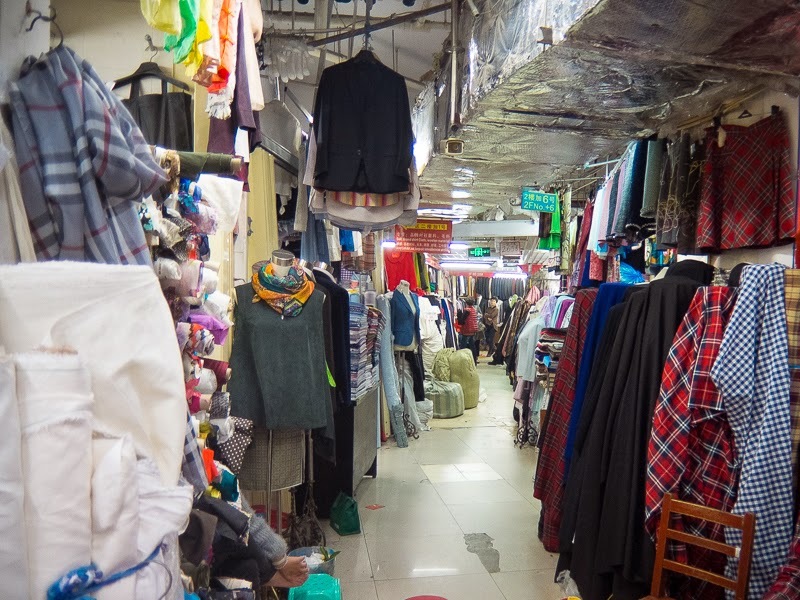 So the first stop was to find Renmin Lu Haberdashery Market... near the older Yu Yuan Gardens. 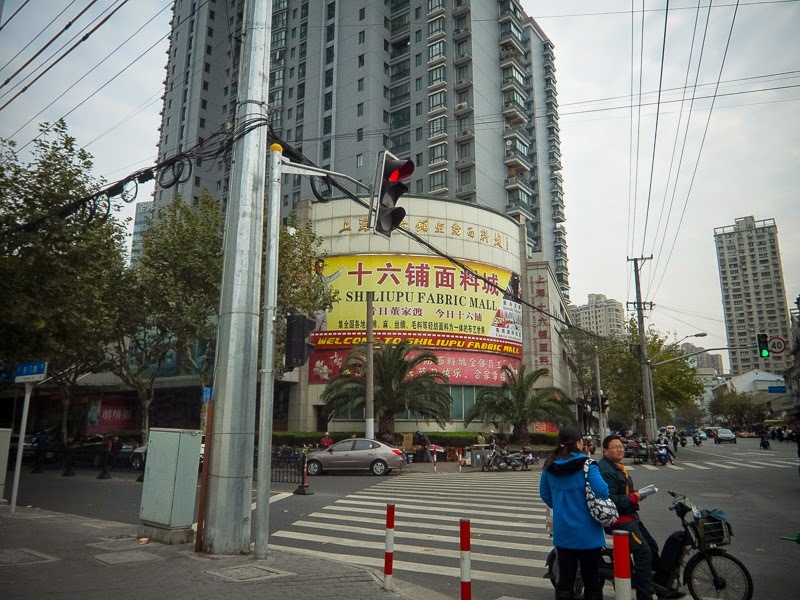 What I've discovered about being here in Shanghai, is that everything never looks like what it should be, and signs are all in Chinse. I'm used to navigating around Australia looking for the over advertised and familiar billboards (in English) of Australia. SPOTLIGHT LINCRAFT RATHDOWNE REMNANTS is very understandable and easy to spot, plus in your home town you are familiar with their locations anywayzzz ... here in Shanghai, street names are in English, and numbers of course but not much else... and here is the haberdashery market... not very obvious, right? And if all the wares weren't outside I could have walked straight past! My main goal on this first visit was to find where to buy zippers & threads and then get some basic fabric for cushion covers… i wanted to design some fabric, or make my own textiles from the vintage tea towels I’d brought from Australia… that project did turn out, I’ll show you soon… but it’s way different for a different couch than I intended! 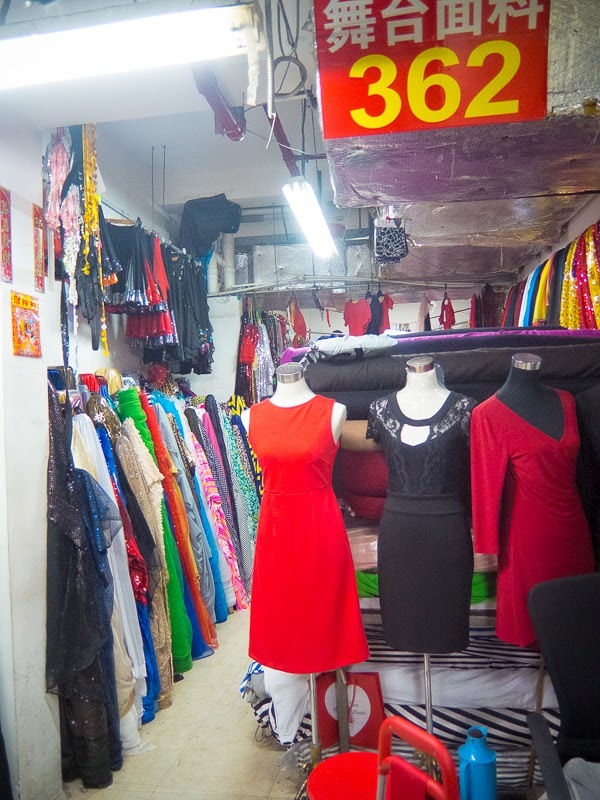 So after walking in a few big circles, gaping at everything with my mouth open, I bought some overlocker thread (on the bigger spools that the little ones) and several zips, and I think it was all less than 40RMB. A little more obvious, in English! 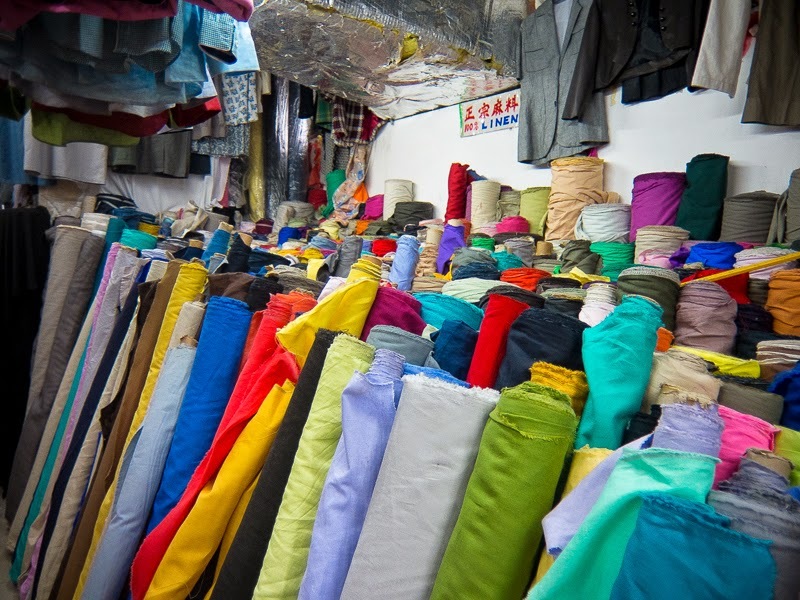 I trotted down Renmin Lu to Dongmen Lu to the lesser known fabric market… most of these gigantic fabric markets in Shanghai are actually set up for you to take your ideas & measurements, and they will sew for you. So you go with photos, recommendations of stalls (who has the best service and results) and then describe what you want. 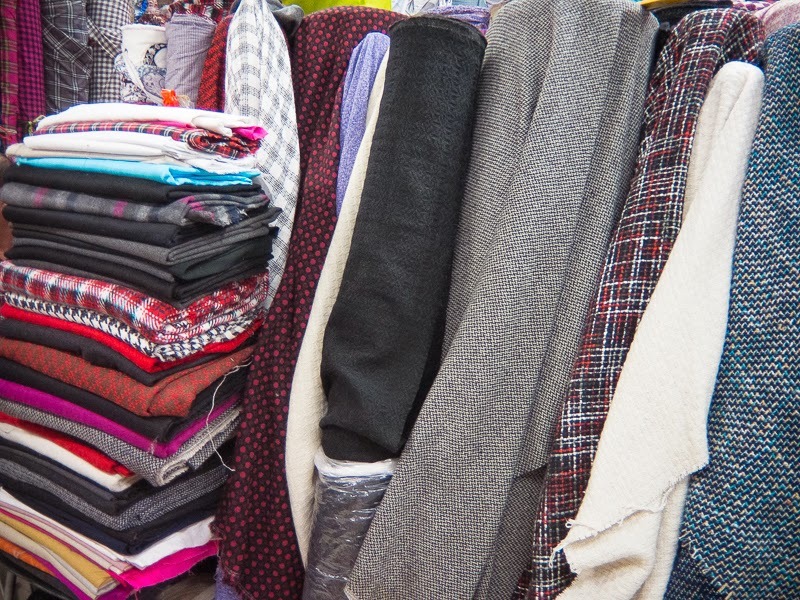 The South Bund Fabric Market is the most touristy spot in Shanghai for tailor made clothing… it seems fabric is pricey but labour is cheap, especially tailoring… maybe not as cheap as Thailand or places like that, but still very affordable. 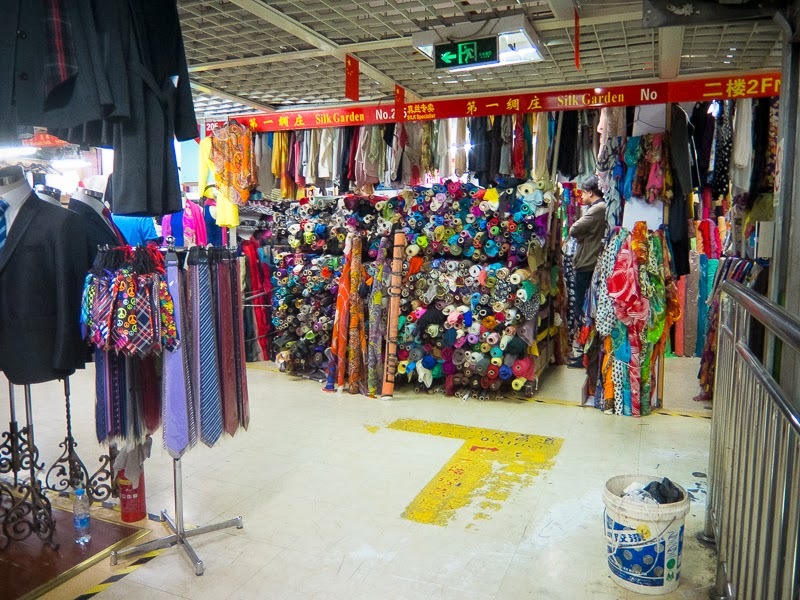 Really I was just stickybeaking at this stage, so I went to all the floors to see what actually was for sale, what fabric I could sound out… that’s where I bought the scuba for my Pinky Space Explosion Skirt and the basic cotton drill & linen pieces for the cushion covers. I just pointed at things mostly and nodded a lot very basic browsing, for back then I only really knew how to say 'Thanks' 'Very Good' and 'Hello' and it was toward my last lap of the place, as I was leaving a French woman, who was walking around very pregnant, said to me ‘Ee Mee - that’s one metre’. Yi Mi. So that helps, a LOT. I now know numbers a lot better than my first trip too, so can say two metres, and three metres. Important! I found some interfacing down in the basement, but it looked like it was the glue/iron stuff but it doesn’t really work like that. 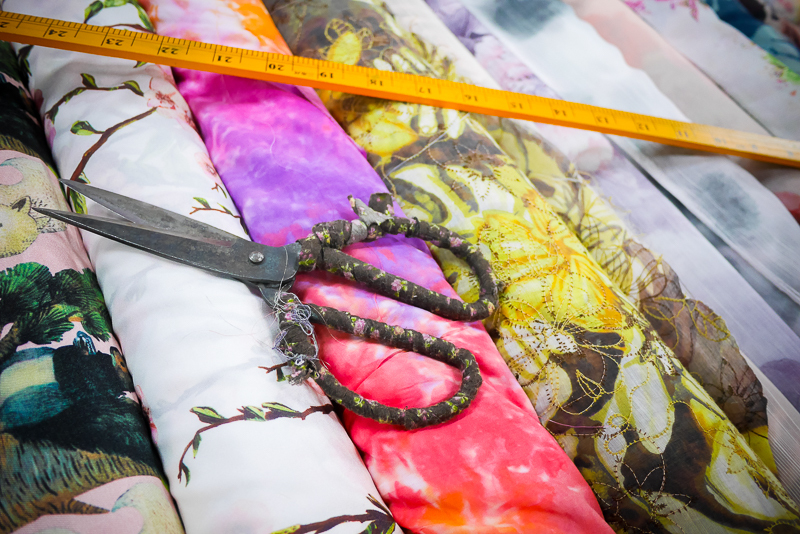 Definitely better quality interfacing is on my (never-ending Shanghai) shopping list because the stuff I bought online locally was terrible… I'll show you it this week, as I've got a finished dress again! Yay!